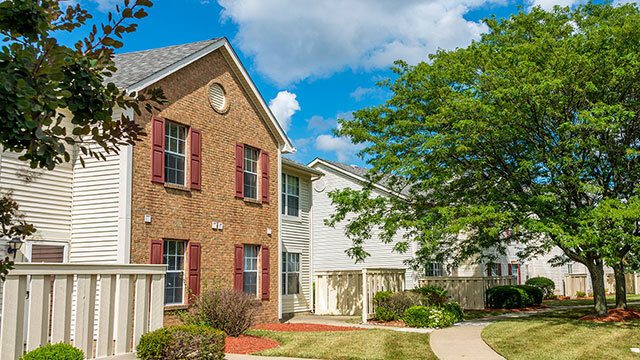 Along with our park like setting, we provide comfort amenities in our apartments that make it convenient to live here. You will also be close to so many locations in the surrounding area and park of an award winning school district. 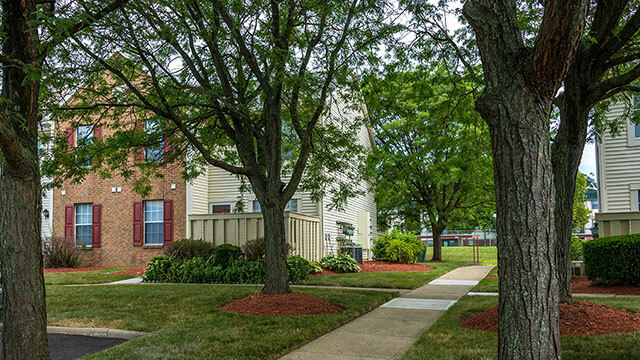 You will feel like you are living in a park when you view the beautifully landscaped grounds around your apartment. The traditional architecture along with the updated interiors provides an excellent setting for quiet and spacious living. All our apartments are designed to provide an open floorplan with access to the kitchen and living space. Our fully equipped kitchens along with a separate dining area allows for ease when at meal time and comfort all the time. From I-270 East of Columbus, take the Morse Road exit and go east. Turn left onto Appian Way and then right onto Appian Way Court right behind the Toyota Dealership.